"That body is waiting to be buried at the Libingan ng mga Bayani. Ok, before we tackle this point, let me give you first a chance to explore what's inside this Marcos Museum. 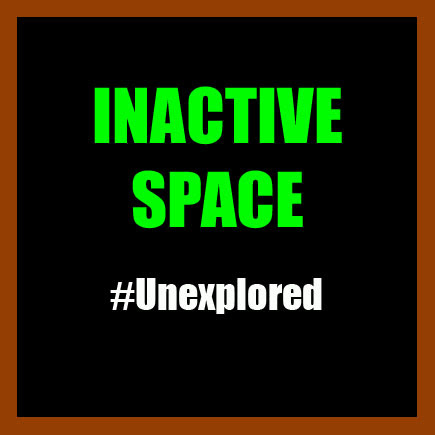 But before we proceed, I just want to let you know that all the information I added here are personal thoughts - personal to the point that I am making it sure to get rid of Google and of Google-ing to refrain me on becoming objective. Ok, if you may have arrived here through search engine, the things written may not be the information you need. As I said above, I'm writing this based on my personal experiences and feelings so please bear with me for that. But you can read it. I am sure, you will learn [not-so-sensible-non-living-] things a lot. 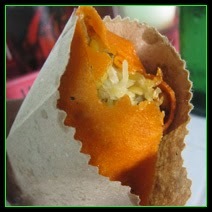 TEASER: "If you happen to pass by the city of Batac in Ilocos Norte on your way up north, this post might be for you. 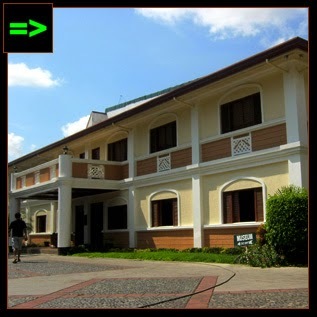 If you have a passion of discovering the history and the heritage of a place while you travel, this post will give you an idea about a piece of Philippine history as seen in Batac City. . I believe one day isn't that enough to explore the whole city but I only [usually] explore in a day because my work on which I need to fund my wanderlust only gives me a 1-day break in a week. Can you just imagine how workaholic I am? 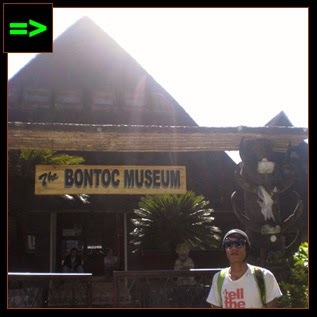 So now, I just explored sites in Batac that fill a part of our history. 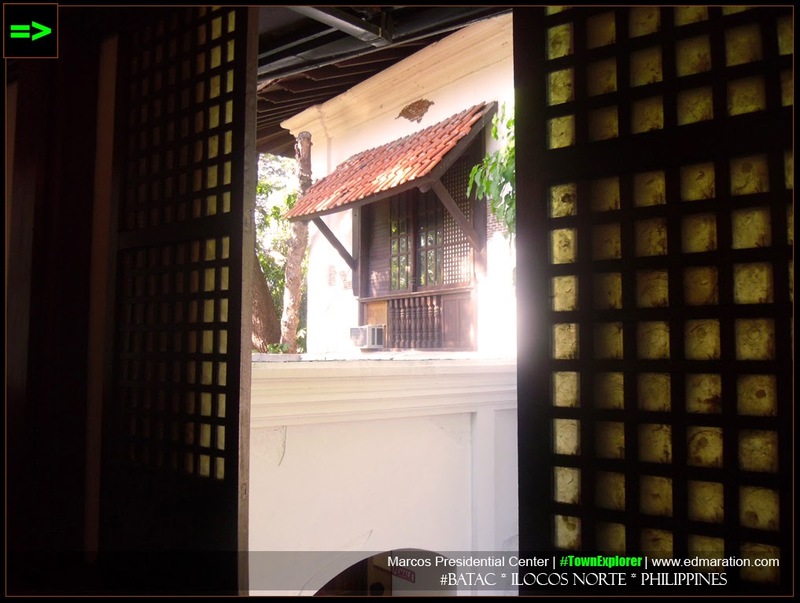 I have actually made a teaser post about the 5 historical sites of Batac few days back but for now I want to blog about Marcos Museum heart-to-heart. 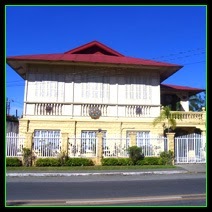 As I walk along the streets of Batac, I noticed that there was this old-looking house that looks elegant. A lot of cars parked near the house and tourist-looking people flocked in front of the house. So this one made me think... and made me curious. Without any hesitation, I went near this elegant old-looking house. There I saw the words written on a rectangular stone with letters made up of golden shining metallic thing: "Ferdinand E. Marcos Presidential Center." I supposed to enter the house but someone, sitting at the desk near the door, requested me to fill-up the form and pay 50 pesos for the entrance fee. I entered the so-called Marcos Museum and "Apo Lakay" Marcos welcomed me. No, not his ghost, but a life-sized statue dressed in Barong Tagalog (second photo above). Inside the Marcos Museum, a.k.a. 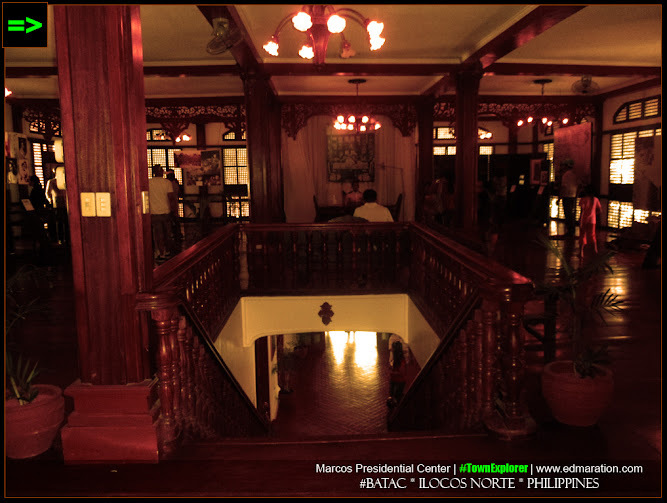 Marcos Presidential Center, it brought me back in time because of the ambiance while seeing some portraits of the late President Marcos in paintings and in sepia prints. It made me feel proud, because 3 Philippine presidents are Ilocanos and I guess the greatest of them is Ferdinand Marcos - being renown for his great works (both good and bad, if there is) and visited by tourists although he is now dead. I have to be honest that I am not amazed by the interior of the museum because I have seen a lot of this set-up and it is common to many old mansions in my hometown but still, the old-world feel brings charm! 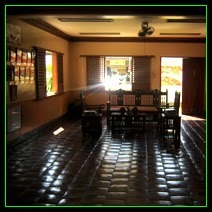 Sorry to say that because I see ancestral houses in a row along cobblestone street everyday. Anyway, I love the unison of the colors inside Marcos Museum -- the sepia-effect ambiance, the red floor and some furniture in maroon. I never have seen Imelda Marcos in person but everytime I hear about her name, the first thing that comes out my mind is... I'm sure we must be thinking the same now... Yes, her iconic terno and those pointed shoes! 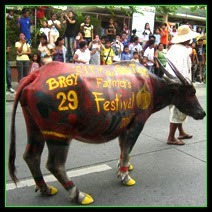 [BATAC] Macoy's wife is known for her terno." Inside the Marcos Museum, the presence of Imelda Marcos is evident. There I saw her adorable clothes. She must not be using these clothes anymore but I bet she now has another thousand set of new clothes. So these clothes will just be worthy now for a display. Marcos Mausoleum is the one I am referring to you as a public and private entity in one (if there is a thing like that or I am just making a story on my own) well, look who is telling the story, it's me. 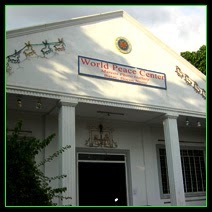 The Marcos Mausoleum is a public site (yes, it is open to public) but in limited time. So make it sure to be here from 9am-12noon and 2pm-4pm. This is the one I am talking about that although the Marcos Mausoleum is open for public, the viewing public is restricted to capture photos inside. So the privacy of what can be seen inside must be upheld. The photo you are seeing above is where the Mausoleum is housed. So what about this mausoleum? Marcos Mausoleum is where the remains of Marcos' body is displayed for public viewing. This must be the longest wake -- friends, family members and almost anyone can visit him. Don't worry there are no necrological services happening each time. You may have brought with you your most expensive camera, or the most sophisticated camera lens but sorry, they will occupy no space inside the Marcos Mausoleum. Every weekday, the Marcos Mausoleum (which is just beside the Marcos Museum) has ample of visitors except during Holidays and extreme weather conditions. But the displayed body is thought to be a wax, a replica of Marcos' dead body. So do you think the visit is of worth seeing just a wax? Wait, they say the real body is located beneath. That body is waiting to be buried at the Libingan ng mga Bayani but who cares right? The Yellow government is reigning in power, right Noynoy? Marcos' family mortician said the body is real but some speculations reveal that the body is buried secretly. This is my disease, I tend to overrate every place I have been because I can not resist becoming excited even if the place I am exploring is a barangay with nothing to see but ricefields, or cornfields, or olive farm (the last example is imaginary). 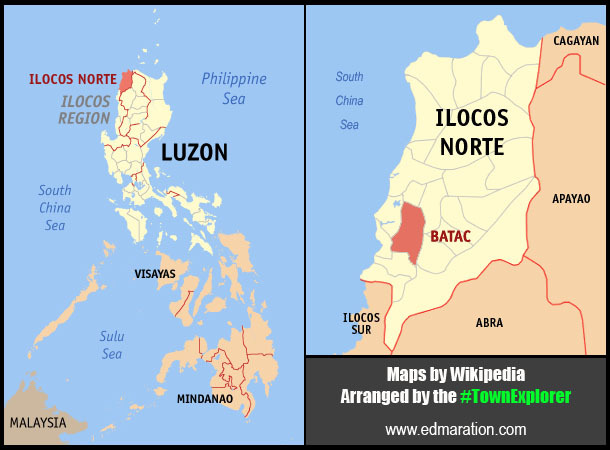 [ATIMONAN] Quezon: A Mountain Exclusive for Coconuts? TEASER: "Villasis is booming, many industries are flourishing, trade and commerce are doing well, but tupig, one little cheap food remains to soar high with pride from the community. ", etc. So if you ask me if this visit is of worth, I will surely say yes! As long as it has given me a lot of thoughts in mind to share, as long as it made me feel excited, and as long as I have blogged about it, it means, I find it cool and interesting. And yip yeah... I don't blog things that don't catch my attention, even if that place is your favorite beach or mountain. Look how dramatic those windows are! I am imagining that a beautiful girl wearing a Maria Clara dress is waving her hands to me while she is saying "Goodbye! 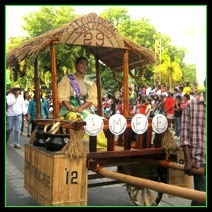 Keep safe," as her tears fall down seeing me dragged by the Japanese soldiers, LOL! 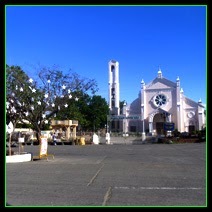 I remember ito yung pinaka una out of town trip ko sa ilocos norte at ito ang unang pinuntahan namin..
Micamyx|Senyorita | Kaya mo 'yan anuveh. Magsama ka ng friends mo para may mayakap ka kapag may nagmulto, hahaha!